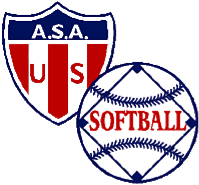 Steele’s did what it was expected to do and that was win their third straight ASA Super National Championship. They defeated Budweiser of Youngstown, OH in the championship game 18-5. Steele’s went undefeated, winning their four pool play games and then three straight in the double elimination portion of the event to go 7-0 on the weekend and they hit 76 HRs over the special 320 foot fence that was constructed for the event.